Every year ACS Athens improves its facilities and raises the bar higher to keep up with the requirements of an international environment. ACS Athens aims at better and safer surroundings for its students and staff and invests significantly on its capital improvements. The following projects are a list of the summer 2013 undertakings that made ACS Athens a safer and upgraded campus. 1) We created a new modern and stylish math computer lab in the Middle School. It is fully equipped to support 28 working stations. We have invested a lot in the technical infrastructure of the lab, targeting high standards and performance. We installed a new fiber optic driven network system achieving maximum reliability and internet speed. 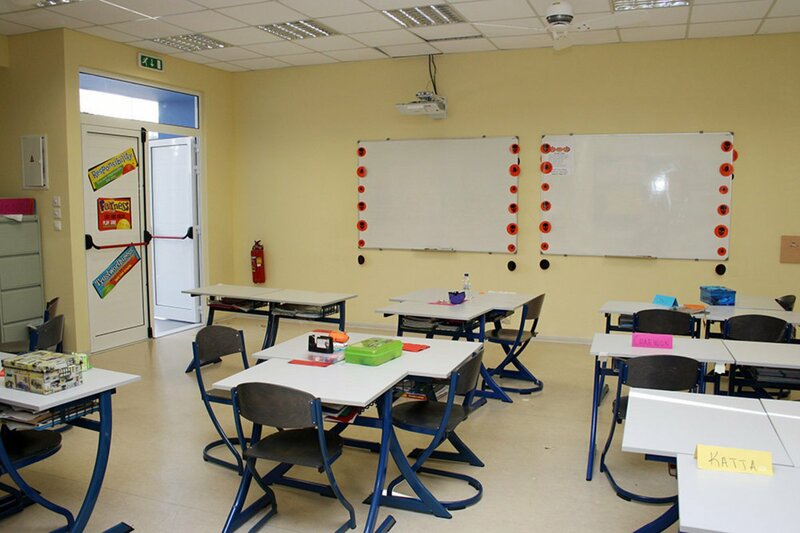 For the comfort of our students, we have also installed a new modern heating and air-condition system, environmentally friendly, which fully complies with latest European standards for lower energy consumption and evenly distributed heating and cooling effect. At this point we would like to thank Dr. Vassilopoulos, an ACS Athens parent of two children, for his generous donation on the construction of the Math Lab. 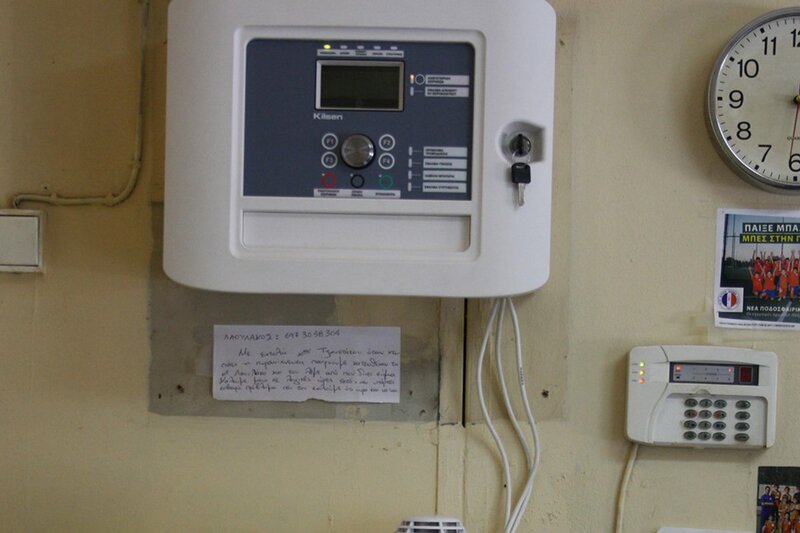 2) We installed a new advanced fire detection system, covering all class rooms, common areas and offices on the campus. 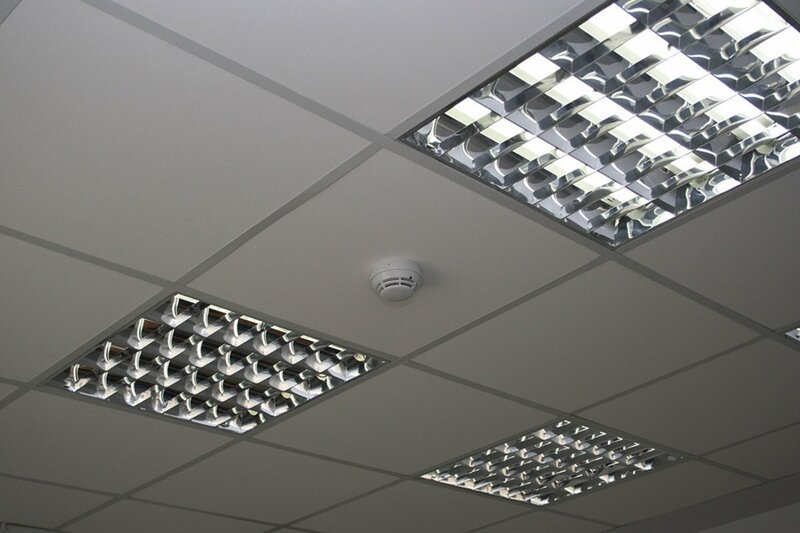 The system can detect and give a warning signal for any potential risk of smoke or fire while specifying the location of the hazard. The system is comprised of over 500 smoke and heat detectors, plus sirens and push buttons, evenly spread throughout ACS Athens. 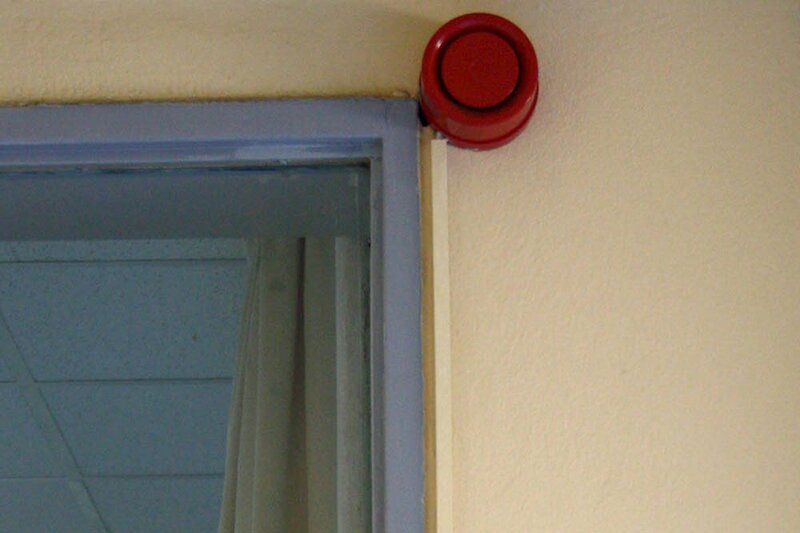 Our system meets the highest standards of fire safety. 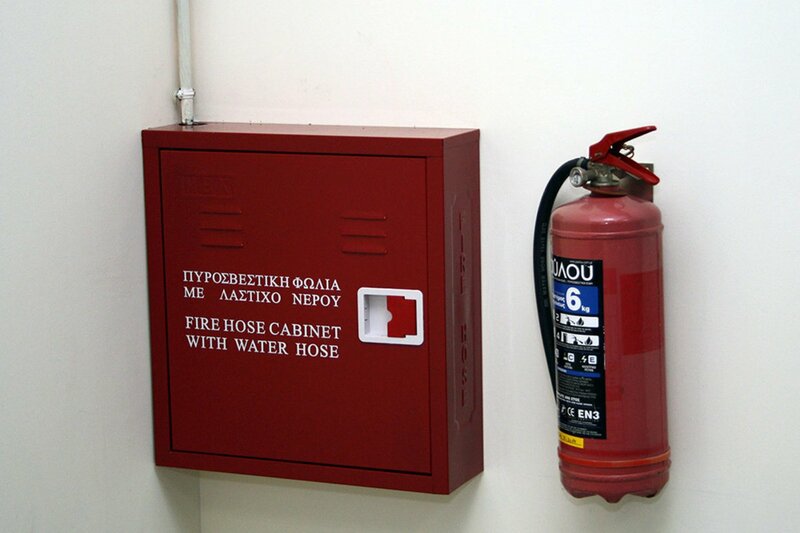 3) To respond to a potential fire hazard, in addition to 150 fire extinguishers that we keep mounted on various locations in our campus, we installed about 120 fire hose cabinets evenly around our campus, according to the guidelines of the Greek Fire Service Department. 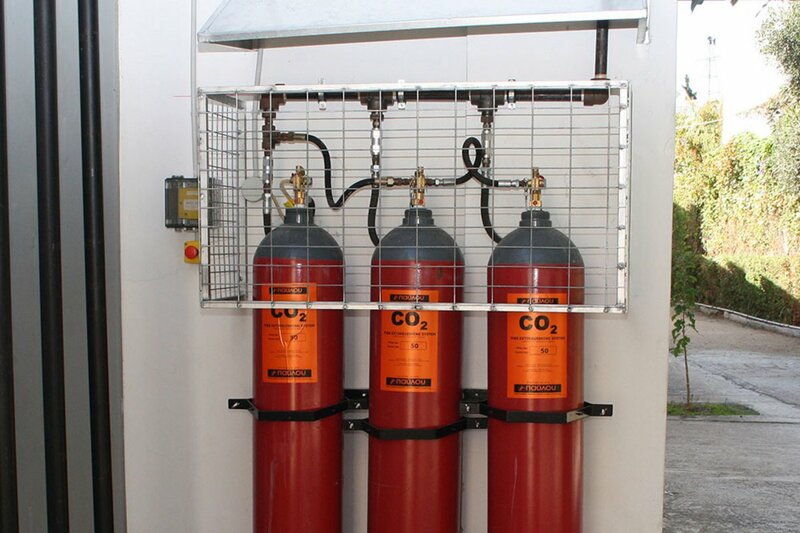 Fire hose cabinets are supplied with water by the main piping system, offering an additional alternative to deal with a fire. 4) Two new automatic fire detection and extinguishing systems have been installed in our two electricity power supply stations and the five oil burning rooms. 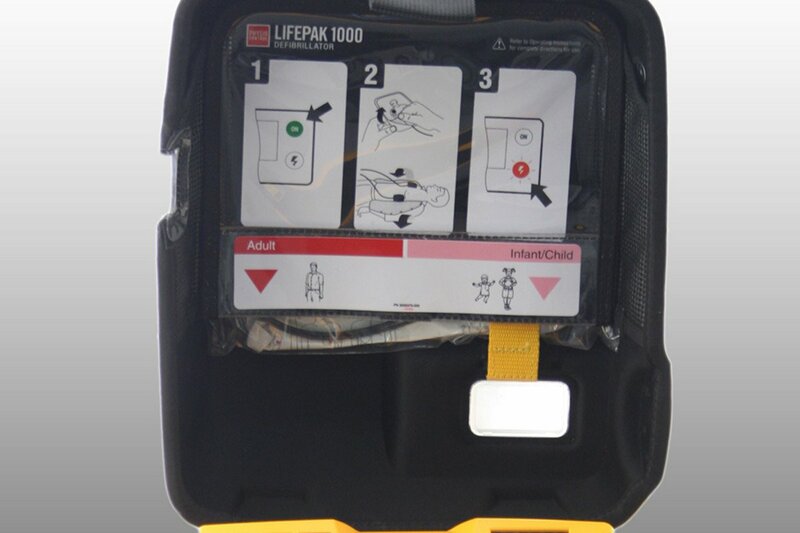 These systems can provide immediate detection and automatic fire-fighting response in case of an emergency. 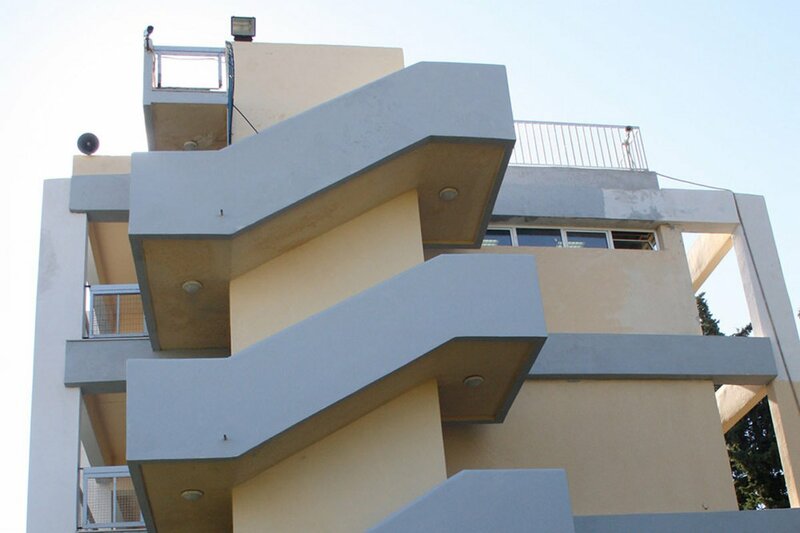 Such systems are recommended by specialists as well as by the Greek Fire Service Department offering high levels of safety to members of the ACS Athens Community while on campus. 5) According to our maintenance plan, this year we undertook the partial renovation of the exterior face of the Annex, targeting weather damage and the aesthetic upgrading of the building. The whole northern side of the building as well as all the columns on ground floor have been fully renovated and treated from the ‘’inside’’, according to the highest engineering standards. This ‘’treatment’’ is not a quick fix to do just what is evident, but involves thorough treatment of the metal framing on the inside of the columns or beams. 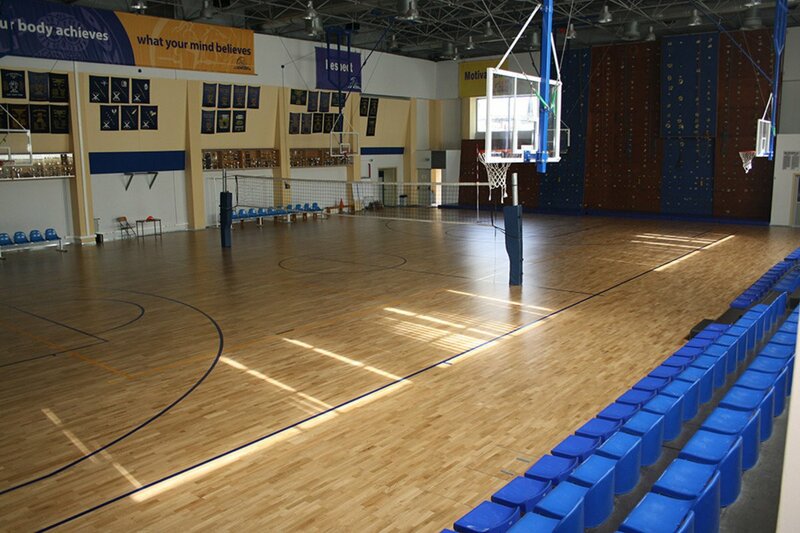 6) We reconstructed the wooden basketball floor of the closed gymnasium. The new floor has been designed according to FIBA’s specifications and materials used are of high quality and approved for this purpose. This work represents a significant athletic injury prevention upgrade in our gymnasium facilities . We would like to thank the PTO parents for their generous donation towards this project. 7) We implemented a new paperless, electronic maintenance work order processing system, replacing the old manual procedures. The new system is internet based and accessible by all employees. It offers prompt and accurate creation of electronic work orders, employee access to the maintenance schedule, better organization and efficient management of the maintenance department workload. 8) We reconstructed the ACS Athens sign by the main entrance of the school. We applied new modern design based on aluminum and stainless steel materials. We enhanced the aesthetics of the structure with flowering plants and indirect lighting and reinforced it for safety with cement ballards. 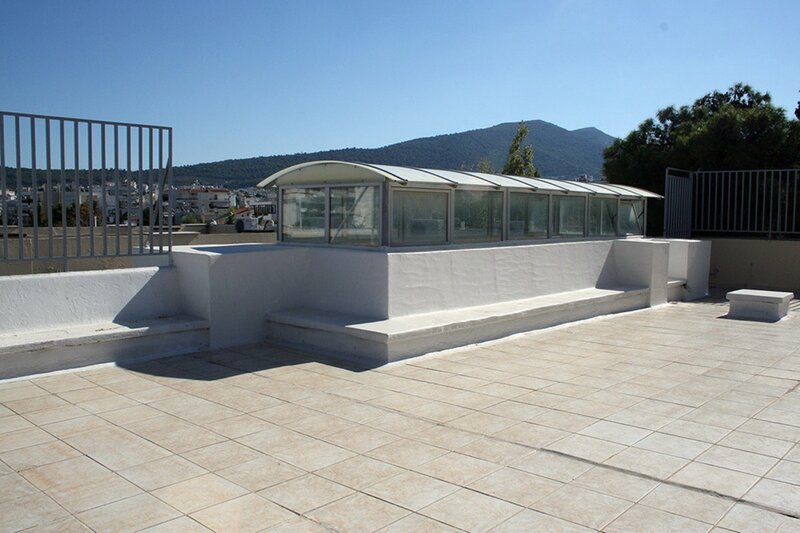 9) We water proofed the roofs and skylights of various buildings (library, art rooms, basket). In some cases and where applicable, we combined water proofing with thermal insulation achieving double the benefit. 10) We added 2 New Smart boards and 9 projectors in various classrooms. Moreover, we fully furnished at the new E/S wing the third 5th grade classroom. Also, in many classrooms we replaced the curtains with new ones made by special type of textile, the so called ‘dim-out’ fabric to prevent glare on the starboards. 11) Many additional maintenance work orders have been carried out during the season, either satisfying teachers’ requests or based on the regular maintenance schedule.